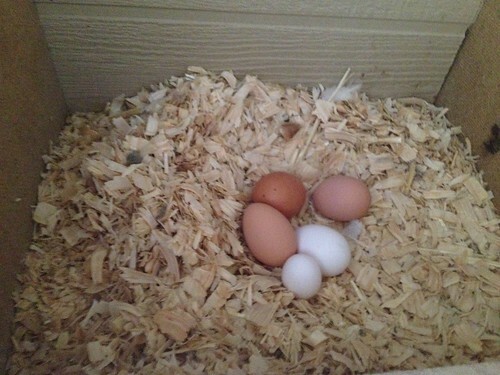 I’ve been so humored by these cackling, little egg-laying creatures! We save our kitchen scraps for the hens. They LOVE them! 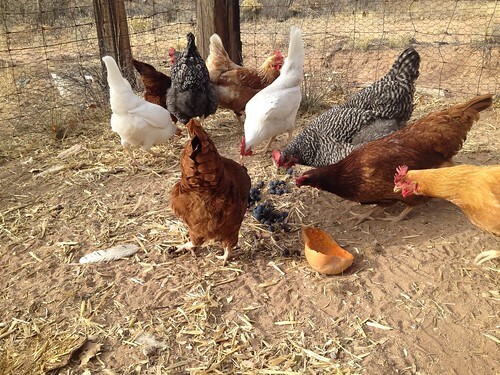 And any time they see me walking toward the coop they all come running from different directions to see if I brought them any goodies. 🙂 And then there’s a feeding frenzy! Here’s Plucky Lucky! 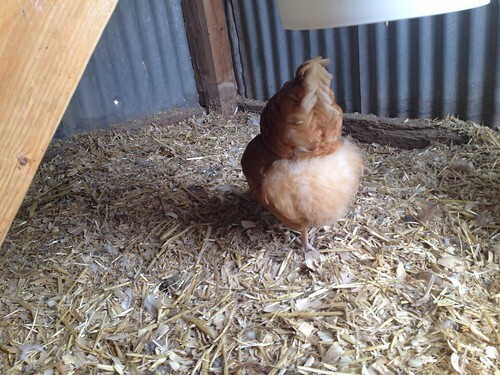 She seems to have healed fine and integrated back into the flock without any problems. I haven’t “catched” (as Qade would say) her to examine the spot, but I’m sure she’s fine. This is why we have these gals! 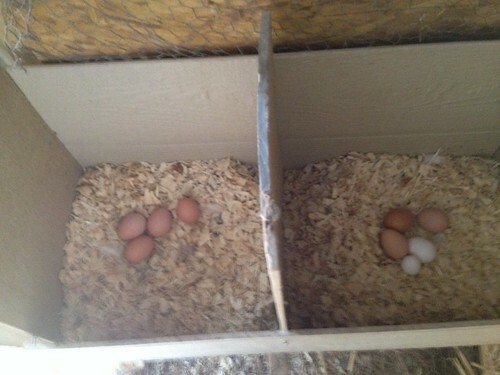 We want fresh free-range (or pastured, the new “it” word for birds that have their freedom) eggs! Yum! Check out that itty bitty one! I haven’t cracked it yet, but the last one I got that was that little didn’t contain a yolk. Funny! 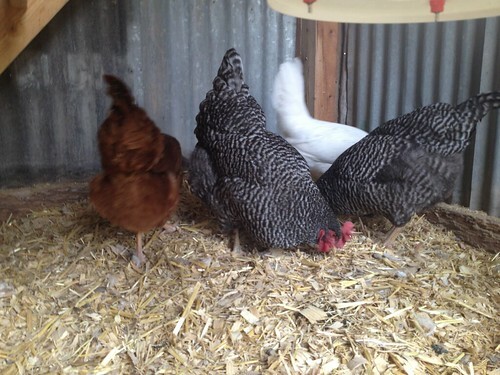 So I finally got smart and put the girls to work on keeping their own coop “clean.” I’m attempting the “Deep Litter Method” for their coop this winter to help keep them warmer and to cut down on littler costs as well. 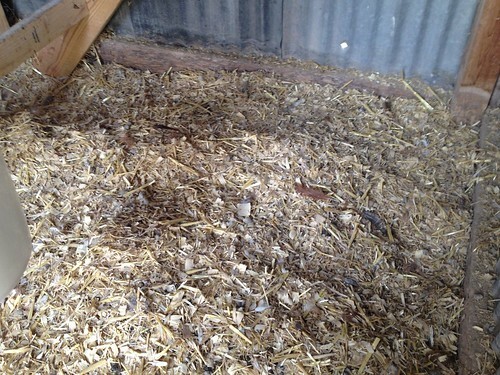 The concept is that you let the junk kinda decompose in the coop and it provides extra heat. You’re supposed to “turn” it every so often so there’s not a build up of poo. And add extra layers of fresh litter every so often too. Well, I was getting tired of “turning” it all the time! Those gals can create quite a mess under their perches! So instead, I’ve started to toss a little chicken scratch under the perch every day or so and the chicks go for it like candy! This makes them “scratch” at the bedding and effectively churn stuff up and keep it nice and tidy! Albeit dusty! Here they are searching for the scratch. And voila! No visible poo! 🙂 Good job ladies! And that’s about it on the chicken front for now. 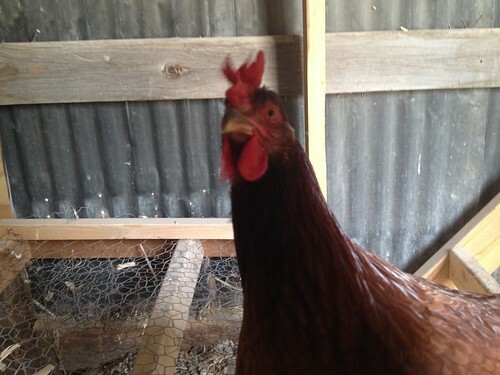 I’m researching how to “grow” our own meat chickens for next summer. I have high hopes for this! 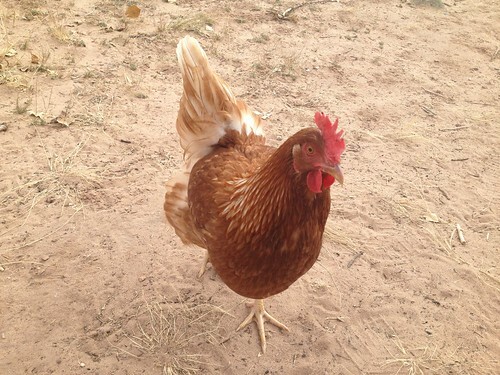 I’d love to stock our freezer with home grown organic chicken! Oh yeah! Meat birds are easy! You might consider putting the hens in with the goats, clipping their wings so they can’t fly out and get eaten by the doggie.